Our primary focus is to promote the political and economic development of Malawi, decrease the country’s dependence on humanitarian assistance and increase its ability to make positive contributions to regional security and the global community more broadly. The U.S. Agency for International Development (USAID) is an independent agency that provides economic, development and humanitarian assistance around the world in support of the foreign policy goals of the United States. The United States has a long history of extending a helping hand to those people overseas struggling to make a better life, recover from a disaster or live in a free and democratic country. It is this caring that stands as a hallmark of the United States around the world — and shows the world our true character as a nation. The U.S. Centers for Disease Control and Prevention (CDC) has maintained an office in Malawi since 2001. Through local partners, CDC helps Malawi’s Ministry of Health achieve national public health goals by training health workers and by providing technical and financial assistance to improve surveillance systems, medical informatics, monitoring and evaluation, laboratories, care and treatment, and prevention efforts throughout the country. Malawi is known for having one of the most innovative and efficient HIV programs in the world, and CDC Malawi is proud to be a key contributor to supporting Malawi to achieve an AIDS-free generation. CDC Malawi supports the work of the U.S. President’s Emergency Plan for AIDS Relief (PEPFAR) in Malawi. CDC Malawi also supports the U.S. President’s Malaria Initiative (PMI) primarily focusing on monitoring and evaluation of malaria interventions and operations research which guide policy and decision-making in the country. CDC Malawi is also engaged in supporting other activities across the health sector to include disease outbreak investigations and emergency obstetrics. Peace Corps is a United States Volunteer Organization dedicated to grassroots development and economic growth in developing countries. It was officially created by the United States Congress in September 1961 under the leadership of President John F. Kennedy. Over the past fifty-five years, more than 200,000 Americans have served in Peace Corps as representatives of the United States’ commitment to helping people around the world achieve economic independence and sustainable development. At the request of host country governments, Peace Corps Volunteers have worked in over one hundred thirty-five countries in Africa, Asia, South America and Eastern Europe. Currently there are 8,655 serving in 77 countries around the world. Peace Corps relies on the host country to select projects and decide what role the Volunteers will play in the host country’s development plan. Volunteers often work in close collaboration with other development organizations such as non-governmental organizations (NGOs) and donors under the direction of the relevant Government Ministries. Volunteer efforts complement the development strategy of host governments. All Volunteers must have graduated university or have a significant amount of relevant experience in whatever field they will be working in. Volunteers reflect the diversity of the American people and therefore enable host country nationals better understand the United States and its people. 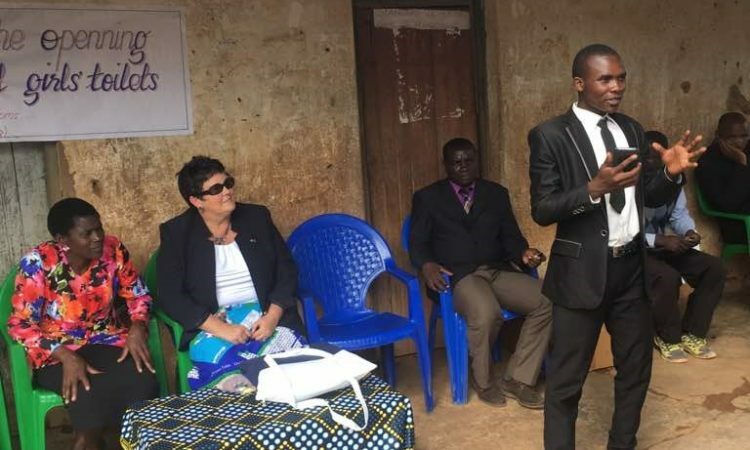 For many people in the developing world, the “United States” is forever linked to the Peace Corps Volunteer who served in their village or town. The friendship formed by working and living together are lasting bonds that continue across the continents. When Volunteers return to the United States, they become unofficial host country ambassadors. They share their understanding of the countries and people they have known for two years by speaking at schools, business and social organizations. Their pictures, artifacts and stories allow thousands of Americans to expand their understanding of other cultures and places. Approximately, 2,840 Volunteers have served in Malawi since Peace Corps entered Malawi in 1963 shortly before independence. Peace Corps continues to enjoy a close, productive, and rewarding relationship with the Government of Malawi. Initially an education-dominated program, Peace Corps/Malawi has evolved into a multi-sector program. Currently, Peace Corps places Volunteers in three sectors: Secondary Education/Teacher Development, Health, and Environment . All Volunteers are provided HIV/AIDS and malaria training in order to help address the crisis that is undermining development activities. There are currently around 130 Peace Corps Volunteers serving in Malawi. The Malawi educational system has undergone serious stresses after the initiation of free primary education in 1994. The expansion of primary education has accelerated the demand for secondary education. The Peace Corps/Malawi Secondary Education Project places teachers in Community Day Secondary Schools (CDSS). Community Day Secondary Schools (CDSS) are community-established schools which have had minimal support from the government in terms of teachers’ salaries and teaching resources. The community uses school fees to buy equipment and textbooks and to further develop the school. Volunteers focus on English education but also teach Physical Science, Mathematics, Biology, Chemistry, and other subjects. All Education Volunteers are encouraged to integrate Girls’ Education and Life Skills into lessons by utilizing Community Content Based Instruction (CCBI) techniques. Following 40 years of providing quality classroom teachers to Malawian secondary schools, Peace Corps is pleased to also provide teacher training. Though the PCV, Malawian teachers are able to facilitate workshops, participate in observations or co-teaching, and work on cluster-level trainings. All of these activities focus on improving teaching methods and practices in Malawi as well as exploring the options teachers have as far as improvising materials or resources when none are present. Peace Corps Malawi has been active in the Health sector since the 1980s. Peace Corps initiated a pilot AIDS Prevention project in 1992 to respond to Malawi’s high HIV/AIDS prevalence rates. To this day, HIV/AIDS prevention and mitigation remains an essential component of Volunteers’ work. Health Volunteers work in governmental health facilities and non-governmental organizations across Malawi to strengthen the capacity of health center staff and community members. Partnering with these organizations, PC Health Volunteers participate in a range of interventions including: prevention of HIV/AIDS, malaria & other communicable diseases, health systems strengthening, nutrition promotion, and life skills training with an emphasis on behavior change. Working with counterparts, Volunteers strive to improve the family health conditions of Malawians. Peace Corps Malawi has worked in the Environment sector since the 1980s. In 1998, Peace Corps established the Community Based Natural Resource Management Project with the Department of National Parks and Wildlife and the Department of Forestry. Volunteers serving in Peace Corps Malawi’s Environment program work with local communities and government officials to develop strategies to encourage food security practices, improve livelihoods through small scale income generation activities, increase awareness and understanding of the importance of natural resource conservation, reduce the impact bordering communities have on protected areas such as National Parks, Forest Reserves, and other protected areas, and teach the interrelationship of improved agricultural practices and environmental conservation. Click on the link below for more information on Peace Corps. The U.S. President’s Emergency Plan for AIDS Relief (PEPFAR) was signed into law on May 27, 2003. Since then, the U.S. Government, through PEPFAR, has saved and improved millions of lives and completely transformed the global HIV/AIDS response. Thanks to the generosity of the American people, 13 high HIV-burden countries are now poised to accelerate epidemic control by 2020 – including Malawi. Over the last 15 years, PEPFAR has invested nearly $700 million to support the HIV/AIDS response in Malawi. In Malawi, because of the generosity of the American people, PEPFAR currently supports lifesaving antiretroviral therapy (ART) for over 700,000 people. In 2017 alone, PEPFAR provided voluntary medical male circumcision for 98,532 men, allowed 40,428 pregnant women to receive HIV testing and counseling, and enabled 164,558 orphans, vulnerable children, and their caregivers to receive care and support in Malawi. In partnership with Malawi’s Ministry of Health, Department of HIV/AIDS, and the National AIDS Commission (NAC), PEPFAR has implemented several innovative strategies to combat the disease. For example, PEPFAR is working to reduce the vulnerability in adolescent girls and young women through DREAMS (Determined, Resilient, Empowered, AIDS-free, Mentored, and Safe) programming. Within DREAMS program areas, we have witnessed a 53% reduction in new HIV diagnoses among 15-19 year-old adolescent girls and an estimated 30% reduction in new HIV diagnoses among 20-24 year-olds. Reducing new HIV infections among adolescent girls and young women in Malawi will be key to achieving epidemic control. The compact’s Power Sector Revitalization Project seeks to increase the capacity and stability of the national electricity grid and bolster the efficiency and sustainability of hydropower generation. Project activities will support an enabling environment for future expansion by strengthening sector institutions and enhancing sector regulation and governance. As a result of these activities, the compact intends to reduce energy costs to enterprises and households and improve productivity in the agriculture, manufacturing and service sectors. The total grant value is $350,700,000 over five years. The project includes infrastructure development (preservation and stabilization of existing generation, improvement of transmission and distribution, and increased efficiency of hydropower generation). And power sector reform. The Government of Malawi entity that will manage the MCC compact for Malawi is the Millennium Challenge Account. The Economic and Commercial Section of U.S. Embassy in Lilongwe is committed to supporting U.S. companies to start exploring or grow their exports to Malawi. We are also here to assist Malawian companies find partners and suppliers in the United States. Whether you are looking to import from the United States for the first time or find additional suppliers, we can help. This Country Commercial Guide (CCG) presents a comprehensive look at Malawi’s commercial environment, using economic, political, and market analysis. The CCGs were established by recommendation of the Trade Promotion Coordinating Committee (TPCC), a multi-agency task force, to consolidate various reporting documents prepared for the U.S. business community. The Malawi Commercial Guides are prepared annually by the economic and commercial section of the U.S. Embassy through the combined efforts of several U.S. Government agencies. The Information Office interacts with local and foreign media to explain U.S. Government policies and bilateral issues. The Information Office provides a variety of services including distribution of press releases and speeches, organization of press conferences, coordination of ambassadorial interviews, production of radio programs, among other activities. On the occasion of visits by high level U.S. Government officials, the Information Office organizes press conferences and interviews and provides support for international press accompanying official delegations. The Information Office manages the U.S. Embassy’s website and social media platforms. The Cultural Affairs Office is responsible for promoting cultural and educational ties between the United States and Malawi. The office works closely with Malawian academic and cultural institutions to organize lectures, exhibits, performances, videoconferences, and a variety of other activities. 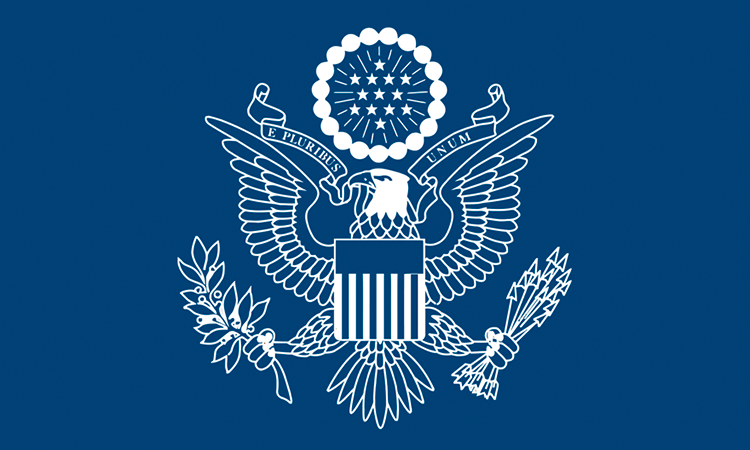 Specific programs managed by this office include the Fulbright and Hubert Humphrey Programs, the International Visitor Leadership Program (IVLP), the Young African Leaders Initiative (YALI), Study of the U.S. Institutes, the Teaching Excellence and Achievement (TEA) Program, and the Ambassador’s Fund for Cultural Preservation. The John F. Kennedy Information Resource Center (IRC) located at the Public Affairs Section in Lilongwe responds to visits and requests from the Malawian public for information about the United States. The IRC also provides training and outreach activities on a variety of subjects. Learn more here. The Public Affairs Section is NOT located at the U.S. Embassy. Instead, it is located in the Old Mutual Building in Lilongwe’s City Center. The consular section is responsible for processing nonimmigrant visas, immigrant visas, and a full range of American Citizen Services.